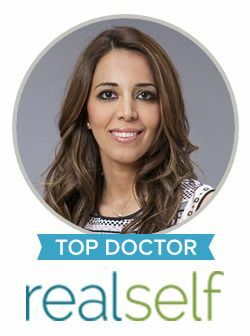 Dr. Sanaz Harirchian, M.D, is a board certified plastic surgeon who treats hair loss in both men and women. Because Dr. Harirchian is dedicated to helping her patients obtain their results quickly and as pain free as possible, she uses PRP Injections for hair loss. PRP (Platelet Rich Plasma) injections utilize highly concentrated blood plasma in a non-surgical form of treatment for male-pattern and female-pattern baldness. The PRP is rich in growth hormones and other bioactive proteins. These proteins provide a superior healing environment, allowing hair transplants to grow immediately after surgery. There are several different ways a specialist can use PRP for hair loss. PRP hair loss injections are a highly specialized form of treatment to facilitate the re-growth of hair follicles. Plastic surgeons trained in PRP hair loss injections can even help facilitate hair growth in patients suffering from androgenetic alopecia, or common baldness. Because of the strong healing environment provided by the PRP, the hair follicle is more likely to function properly, slowing down thinning and the balding process. The patient’s own blood is used to create the enriched blood; therefore, the risk is minimized. The PRP blood can be directly injected into the scalp or it can be used as a topical application. Patients can expect to receive injections every 3 or 4 months until they receive the result they desire. Dr. Harirchian’s patients appreciate this non-surgical hair loss treatment. Not only is there no recovery time involved, but they also appreciate the flexible payment options provided by Dr. Harirchian’s friendly office staff. The confidence in having a board-certified plastic surgeon performing this technique is priceless. This technique is cutting edge technology, offering safer and faster treatment for hair loss. Contact Dr. Sanaz Harirchian today to discuss how PRP treatments can provide a non-surgical hair-loss treatment for you.